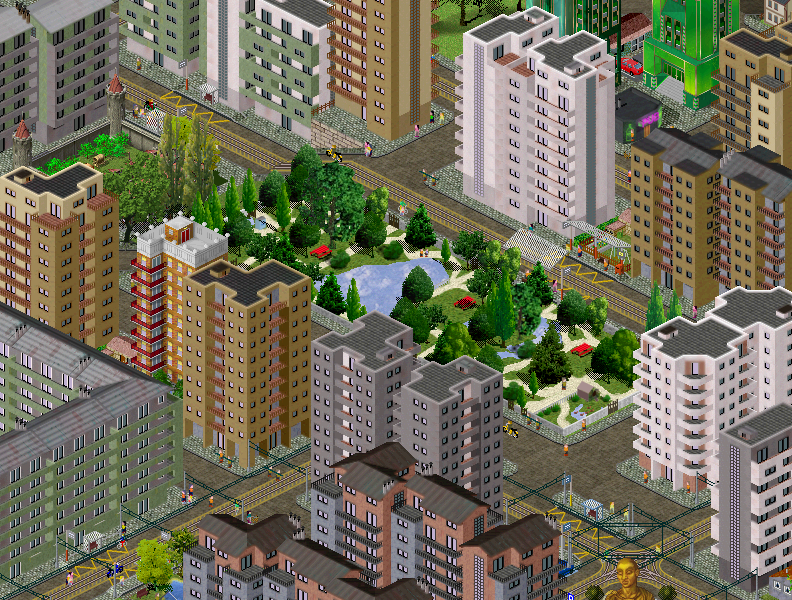 The ﻿﻿Winner of the June edition of the Simutrans is mEGA with Little center park, a big park in a residential quarter of a middle town. Citizens are very enjoy to live in this part of city. They can buy some fresh foods on neighborhood covered market Hall, trams and buses transport everybody in everywhere. Welcome to Eden!. It was created with pak128 and gathered a third of the votes. Screenshots by Junna, isaac_clarke and enkort scored a second and two third places respectively. Another new edition of SMSC is on the way. The subject of this month is Parks and Skycrapers. Everybody can participate, with only one screenshot of 800 x 600 pixels, in jpg or png formats. You can use any pakset, and the deadline is June 18th. The voting begins on June 19th. 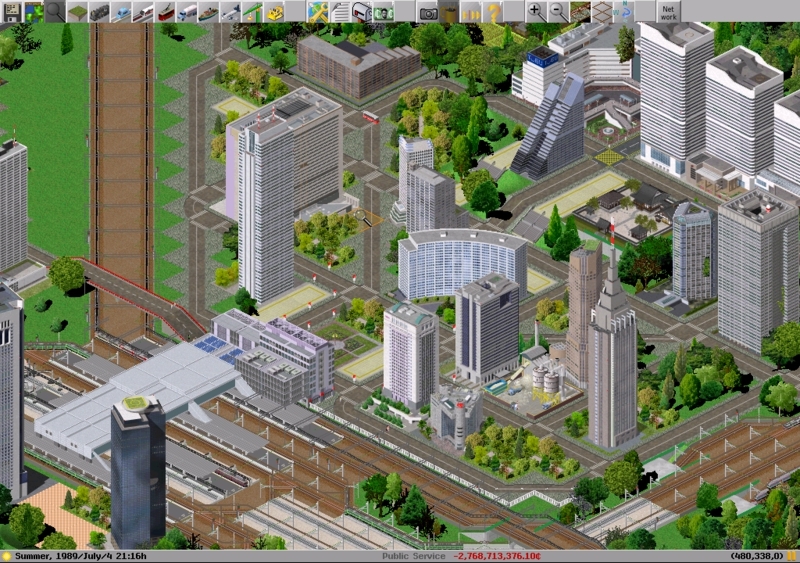 The June edition of the Simutrans Monthly Screenshot Contest has finished. Congratulations to all people who took part in it.